Tomato plant suckers is a term that can be easily thrown around by experienced gardeners but can leave a relatively new gardener scratching his or her head. “What are suckers on a tomato plant?” and, just as importantly, “How to identify suckers on a tomato plant?” are the most common questions. 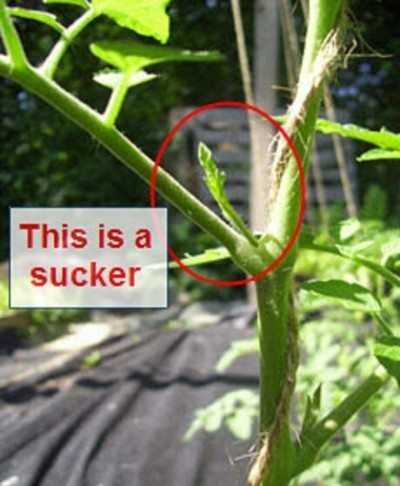 The short answer to this is a tomato sucker is a smallish shoot that grows out of the joint where a branch on the tomato plant meets a stem. These small shoots will grow into a full sized branch if left alone, which results in a bushier, more sprawling tomato plant. Because of this, many people like to remove tomato suckers from the tomato plant. But, there are pros and cons to the practice of pruning tomato plant suckers, so research the benefits and problems before you start taking tomato suckers off your plant. Many plants have these secondary stems, but most need to have the branch above the sucker removed before the sucker is triggered by the plant to grow. This is commonly seen in herbs like basil, where trimming the stem will result in two suckers growing from the immediate axils (point where the leaf or branch meet the stem) below where the cut occurred. Ultimately, tomato plant suckers will not harm your tomato plant. 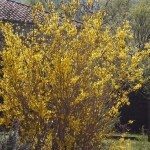 Now that you know the answer to, “What is a sucker on a tomato plant” and “How to identify suckers on a tomato plant,” you can make a more informed decision about whether or not to remove them.